Year of Yay! May — Yay Bikes! This is a highly informative ride about food rescue and composting! The ride will include a visit to the Crest on Indianola, where they will give us an overview of everything they have going on regarding food waste including a drop off household food waste/compost subscription service provided by GoZERO. In coordination with Food Rescue US, we will pick up food to be rescued at the Clintonville Farmers Marketand take it to Saint Sophia’s as a donation. In between stops we will ride by a community garden and find out about their garden compost drop off program. Kyle O’Keefe from SWACO and other Central Ohio Food Waste Initiative (COFWI) partners will be on the ride to share what’s happening with the COFWI Food Waste Action Plan. Year of Yay! is a series of 12 monthly bicycle tours showcasing various businesses, organizations, sites and parts of town around a different theme each month. 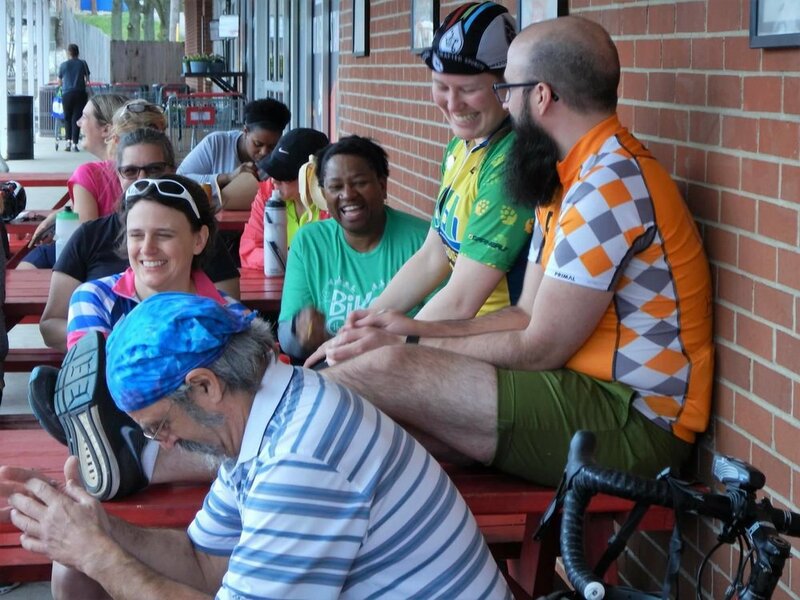 Kicking off at Lucky's Market at 10am every second Saturday, this casual no-drop ride is approximately 20 miles but rolls at a conversational pace and accommodates most riders. Rides are free for Yay Bikes! members and our first-time guests. Join today and check out some additional ride FAQs!